5 years ago I visited LEGOLAND Malaysia with the family, it was our first family outing and we had so much fun at the newly opened theme park. That was also the first time Mum goes overseas with us (after much persuasion no less), she doesn't like to take the planes so she felt safer with the short 30mins (approx) or so coach ride from the Singapore custom. I remembered I stayed with Mum whole day coz I wasn't keen on taking the rides, we walked slowly behind the gang while the rest went off to try on the different theme rides, only to catch up with them while they are in the middle of the queue. We will find some place to sit down and wait for them to be done with the ride, chatting non stop. It was a totally different sort of LEGOLAND experience for me, a rather slow and steady one, but I enjoyed every minute of it. We did take ONE ride though, we queued 30mins just to get on the Observation Tower where we enjoyed a 360 deg view of the whole park as the tower rises up. For someone who is not a fan of height, Mum really took a big step to go on that ride. I am sure she was nervous when the tower rise up slowly even though she did not show it. That's my Mum! 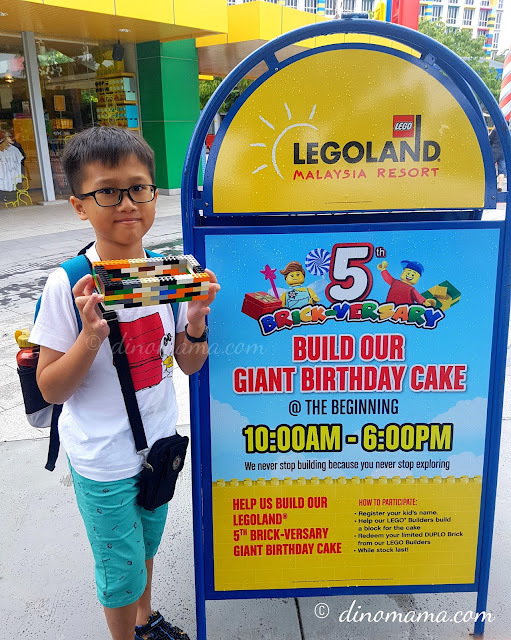 5 years later, I am back to LEGOLAND Malaysia, this time its the first solo trip with DinoBoy out of the country. We haven't been on holiday overseas for ages and this trip excites me a little bit even though its only to neighbour country but its back to a place where it hold fond memories for both of us. 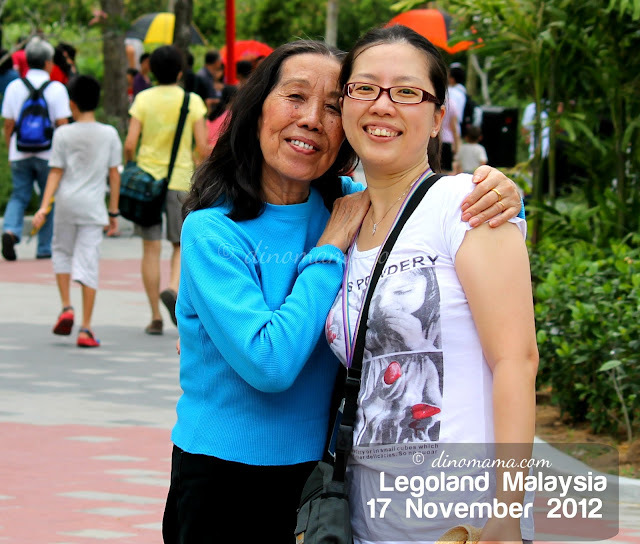 We met up with Mummy Serene and her family outside the theme park because theme park are best enjoyed with friends! 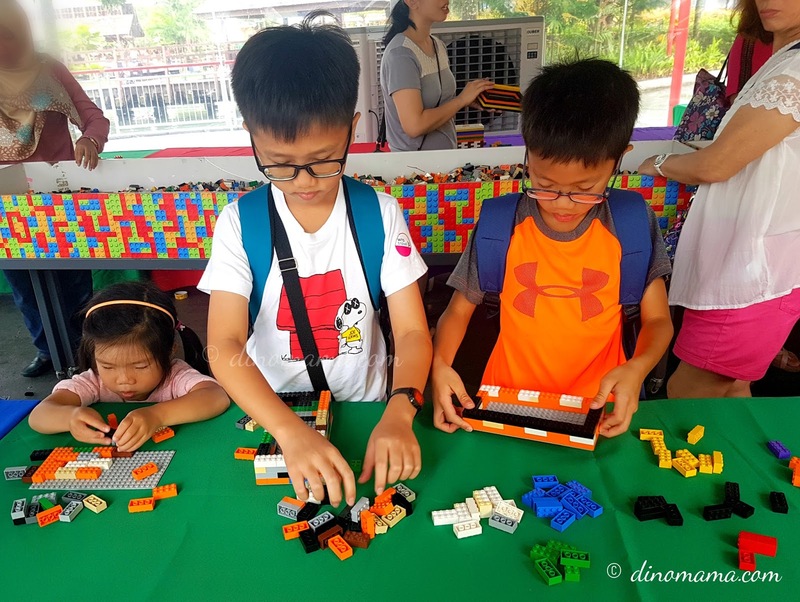 The kids are excited and eager to run towards all the roller coaster rides and but that have to wait because the Mamas got them to build some blocks for the 5th Brick-versay Giant Birthday cake. 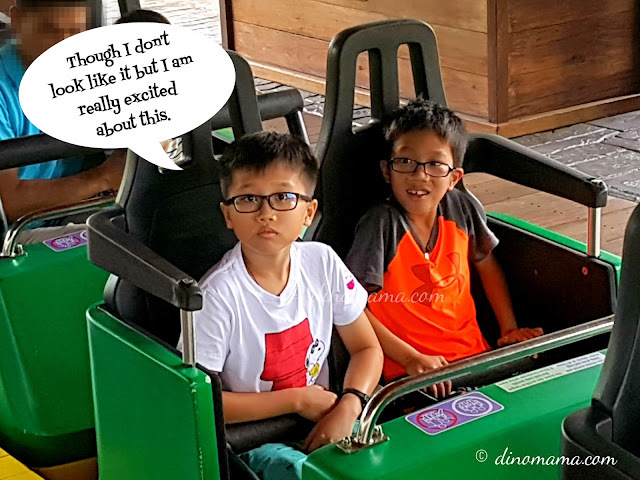 There are so many attractions but the boys are only interested in roller coaster rides, they were very disappointed when they saw that Project X ride were all boarded up, closed while they do something more exciting to the ride (you will know at the end of the post). In fact a few other rides were closed too which is really a bummer for the kids who were looking forward to those rides. Well, as a consolation, the boys get to go on Dragon's Apprentice on their own (ok they have each other as company) for the first time. 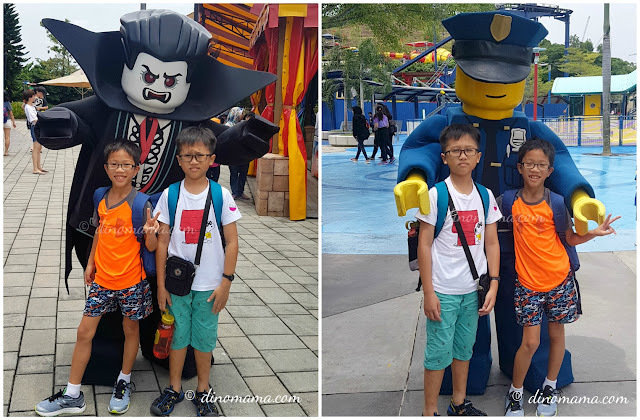 Even though my heart was at my mouth but I knew how much he wanted to take that dangerous looking ride and this Mama is not a roller coaster fan, so yes I let them go on it then pray to Guanyin and Buddha and Tee Gong to por-pee them and keep them safe. The ride was pretty short and fast, they were done by the time we make our slow way down from the platform after waving them off. 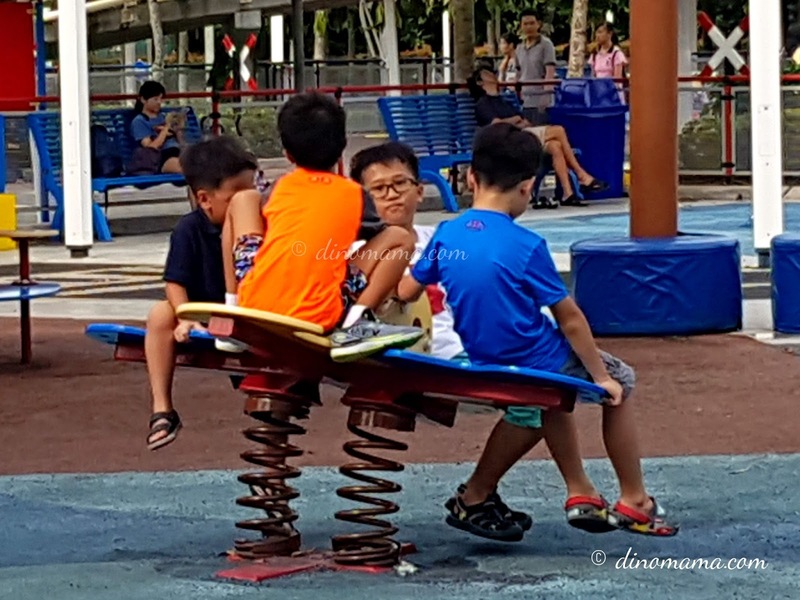 We met up with Mummy Cynthia & family later on and the boys just went wild playing together! They went off to take the LEGO® NinjaGo® The Ride, I heard that they had so much fun trying to defeat the Great Devourer. The ride uses the state-of-the-art hand gesture sensors so the "ninjas" get to vanquish the Great Devourer without any handheld devices. So glad that we have Mummy Cynthia with us because I wasn't ready to let DinoBoy to sit on this big roller coaster ride that has twists, turns and dips without any adult's company. He wasn't sure that he wanted to go on the ride after almost flying out of the seat the last time he was on it 5 years ago. After much encouragement from me and some explanation that he has grown bigger in size and height thus will fit the seat properly now, he decided to join the rest and of course he left the ride a happiest boy on Earth. 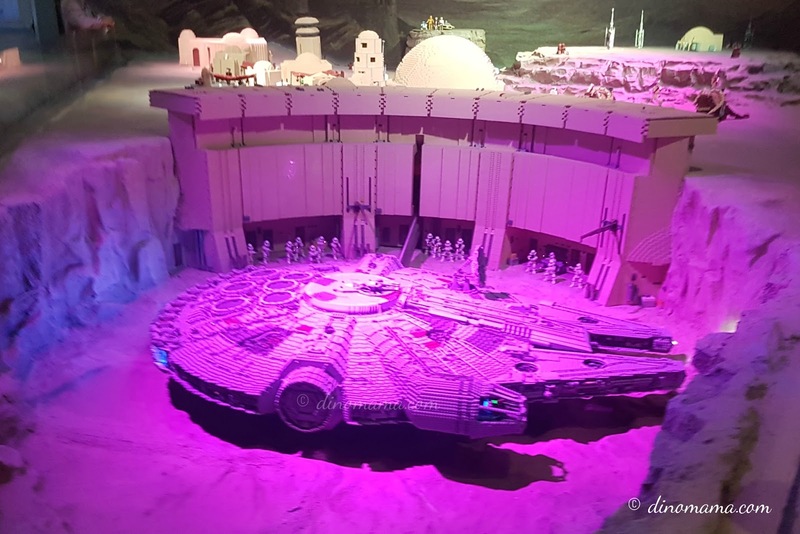 I am no Star Wars fan but this is one attraction that I enjoyed most. Featuring seven iconic scenes from the six Star Wars™ films and The Clone Wars™ animated series you get to see some familiar Star Wars characters like Yoda, R2-D2, Darth Vader and the legendary Sith Lords. The lighting and sound effects are great but what makes every thing so real are that some of the models moves, like this war ship in the photo below. 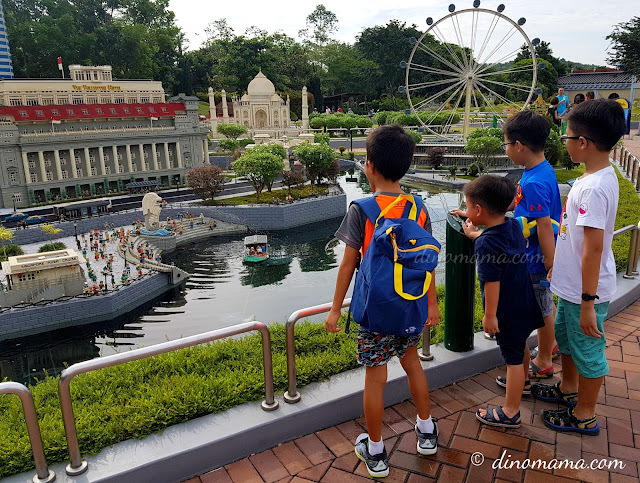 We spent some time at the Miniland and the boys spotted some familiar Singapore iconic scene and structure. Look! Even the mini Merlion "spits" out water! We ended the tiring day with some play time at the play ground. The boys sat on this spring structure for a while before some one decided to play "catching" and off they dashed in different direction. That went on for a good 30mins before we had dashed off to the Big Shop to grab some LEGO merchandise #takemymoney. I am sure every one, especially the kids, left the theme park feeling ecstatic. For me, I left the place with a sense of accomplishment on the first solo trip with the boy and remembering Mum on one of the happier days we spent together years ago. Thank you LEGOLAND Malaysia for giving us a day of fun and creating precious memories! If you are thinking of visiting the theme park, don't forget to purchase your tickets here and if you need one more reason to nudge you to visit LEGOLAND Malaysia, what about this! 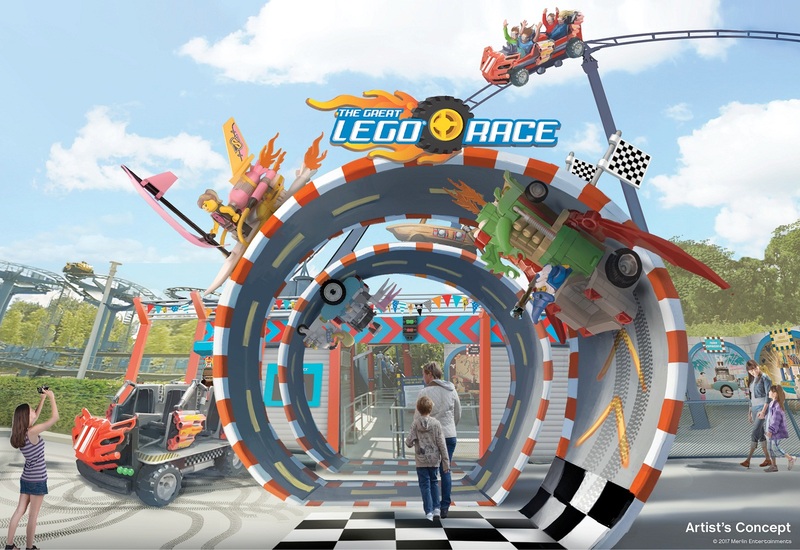 Ready, Set, LEGO®! 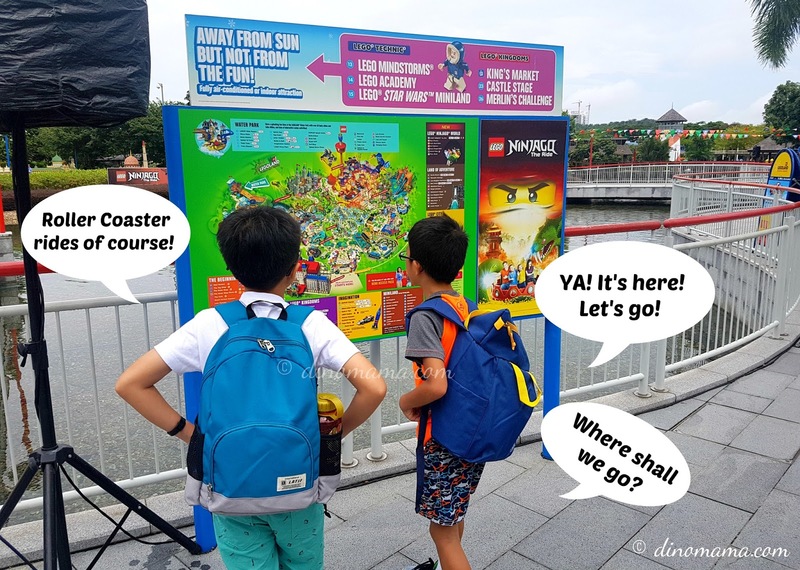 Prepare to embark on the wildest LEGO ride as LEGOLAND® Malaysia Resort will be the world’s first LEGOLAND park to launch the LEGO virtual reality roller coaster in November 2017! 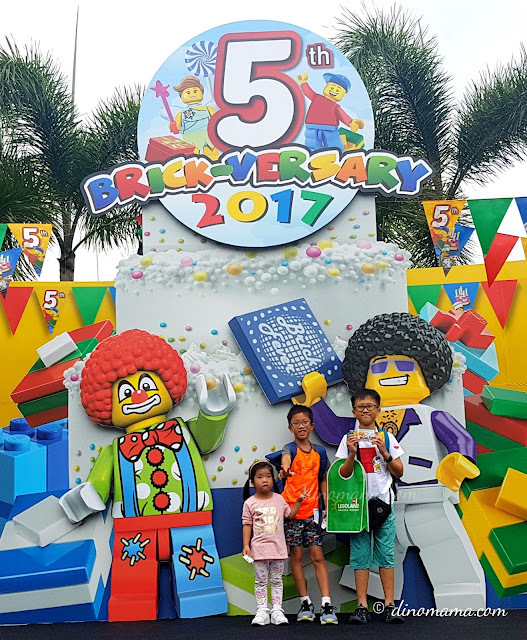 Disclaimer : We were invited by LEGOLAND Malaysia Resort to visit the theme park for their 5th Brick-versary and for the purpose of this post. All opinions in this post are 100% and based on our experience at the park. 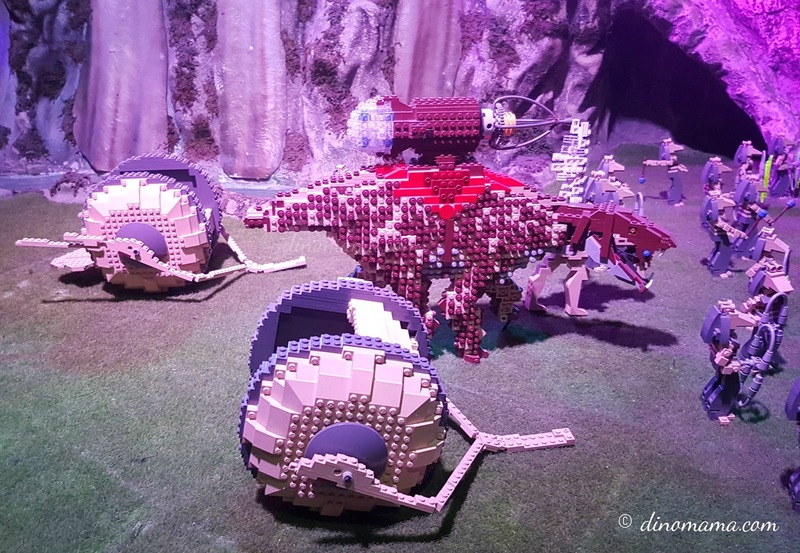 All photos in this post belongs to The DinoFamily, you may not use them without our permission.